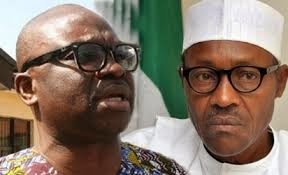 The Ekiti State Governor, Ayodele Fayose, has claimed that the presidential candidate of the All Progressives Congress, Muhammadu Buhari “will never rule Nigeria again”. Mr. Fayose spoke on Sunday in a statement through his Special Assistant on Public Communications and New Media. Mr. Fayose also challenged the former Head of State to swear by the Holy Quran that he did not visit any hospital in the United Kingdom last week. Mr. Buhari is currently in London on a working visit, according to the Directorate of Media and Publicity of his campaign. Mr. Fayose said he predicted his victory in the 2014 Ekiti governorship election and therefore boasted he could also “see spiritually” the future of the country, including not only President Goodluck Jonathan’s victory on March 28 but also his successor in 2019. He said, “I wish they can see spiritually what I am talking about that Buhari, despite the hullabaloo will never be president. I predicted my return as Ekiti State governor and I am saying it again that Buhari will never rule Nigeria again. He said he never wished Mr. Buhari dead, but added he was duty bound to expose the “antics of APC cabal” over the APC candidate’s health status. APC leaders, including former Governor of Kwara State, Bukola Saraki, have released pictures of Mr. Buhari’s engagements in the UK, including a meeting with former Primie Minister Tony Blair, whose specific purpose was however not stated. “I owe it a duty to Nigeria and its people to expose the antics of the APC cabal whose only interest is to seize power to further selfish interests,” Mr. Fayose said. “Without doubt, it is obvious that members of this cabal in the APC is trying so hard to deceive Nigerians on Buhari’s health status. That is the reason they have been using photoshop pictures to defend their lies on Buhari’s UK trip. 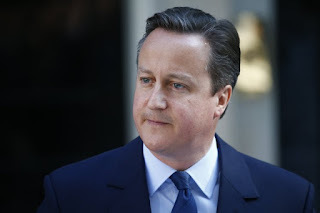 “First, they used a March 5, 2013 picture, claiming that Buhari was taking a walk in London on Thursday. Later they came up with another poorly cropped picture of Buhari with former British Prime Minister, Tony Blair. 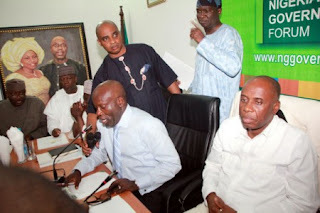 “The indecorous governor is bent on seeing the APC presidential candidate dead before the March 28 presidential election because his party is sure of losing the election, and he feels he will stew for it,” the group said in a statement by its spokesperson, Segun Dipe.